It's here again for 2013! 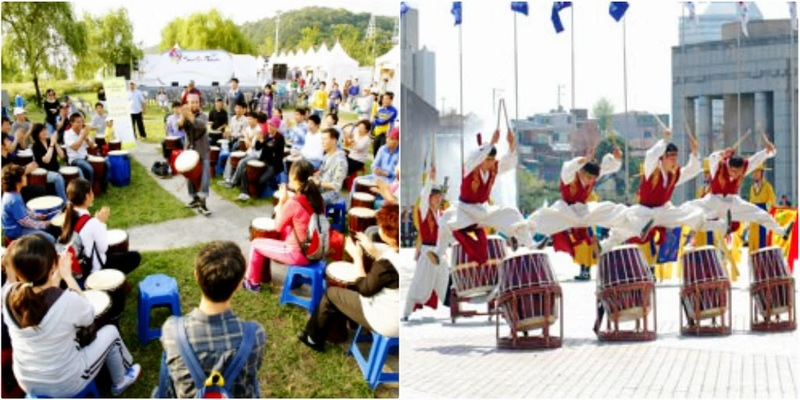 The 15th Seoul Drum Festival will be held October 3rd - 4th at The Seoul Plaza. Internationally known as a major cultural festival in Seoul, it is famous for providing great opportunities for people to learn about Korean culture and percussive art. The 2013 Seoul Drum Festival will include a number of world-class performances by both domestic and international performers. Experience the dynamic beat of the 2013 Seoul Drum Festival! It is definitely an event I wouldn't miss!